What Are Your Options for Oral Surgery? Do you experience oral pain and problems? Then you may find relief with oral surgery. Since surgery makes some people nervous, you can ease your mind by discovering how the treatment will ease your pain. Oral surgery is done for many reasons, so find out how oral surgeons can give you a reason to smile again. 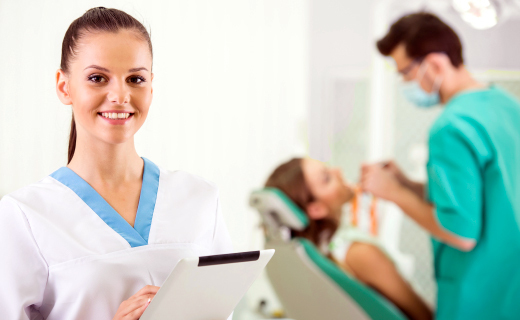 Oral Surgery – Surgery can be performed to treat a range of specialized oral problems. It can properly position a misaligned jaw to improve the results of orthodontia. And many find that oral surgery greatly improves their chewing, speech, and breathing. Tooth Decay – If tooth decay has damaged your teeth far beyond repair, then dental extractions can save you from the price and pain of treating the trouble. Dental extractions can also enhance the fit and comfort of dentures. Wisdom Teeth – When wisdom teeth get trapped in gums, they are impacted. This can lead to problems with nearby teeth and cause extreme discomfort. That’s when oral surgeons are called on the case to remove those teeth and reduce your pain. Root Canal – Often, dental discomfort can be simply relieved with a root canal. Oral surgeons handle most oral surgery treatments, but dentists and endodontists perform root canals by removing the root and pulp of the tooth. This literally gets to the root of the pain to soothe and solve the problem.